HOTAN, China -- Barbed wire and hundreds of cameras ring a massive compound of more than 30 dormitories, schools, warehouses and workshops in China's far west. Dozens of armed officers and a growling Doberman stand guard outside. The Associated Press has tracked recent, ongoing shipments from one such factory inside an internment camp to Badger Sportswear, a leading supplier in Statesville, North Carolina. The shipments show how difficult it is to stop products made with forced labour from getting into the global supply chain, even though such imports are illegal in the U.S. Badger CEO John Anton said Sunday that the company would source sportswear elsewhere while it investigates. Chinese authorities say the camps, which they call training centres, offer free vocational training for Uighurs, Kazakhs and others, mostly Muslims, as part of a plan to bring minorities into "a modern civilized" world and eliminate poverty in Xinjiang. They say that people in the centres have signed agreements to receive vocational training. The Xinjiang Propaganda Department did not respond to a faxed request for comment. A Chinese Foreign Ministry spokeswoman accused the foreign media Monday of making "many untrue reports" about the training centres, but did not specify when asked for details. Payment varied according to the factory. Some got paid nothing, while others earned up to several hundred dollars a month, they said -- barely above minimum wage for the poorer parts of Xinjiang. A person with firsthand knowledge of the situation in one county estimated that more than 10,000 detainees -- or 10 to 20 per cent of the internment population there -- are working in factories, with some earning just a tenth of what they used to earn before. The person declined to be named out of fear of retribution. Rushan Abbas, a Uighur in Washington, D.C., said her sister is among those detained. The sister, Dr. Gulshan Abbas, was taken to what the government calls a vocational centre, although she has no specific information on whether her sister is being forced to work. 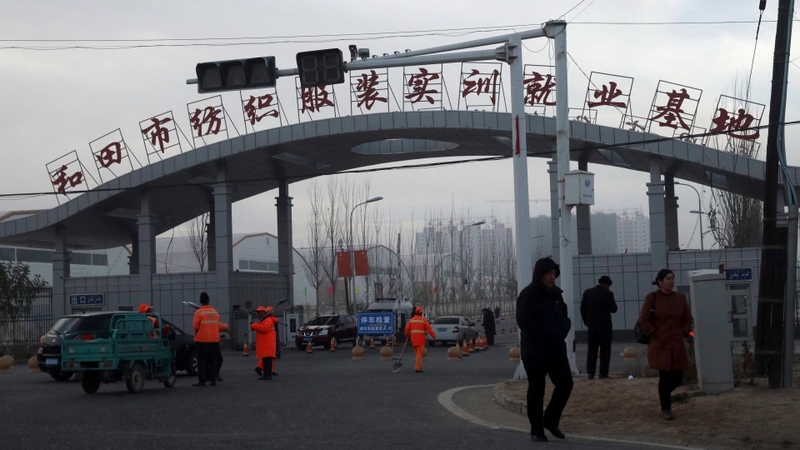 As China faced growing international pressure about the detention camps, its state broadcaster aired a 15-minute report in October that featured a "vocational skills education and training centre" in the southern Xinjiang city of Hotan. Wu Hongbo, the chairman of Hetian Taida, confirmed that the company has a factory inside the same compound as the training centre featured in the China Central Television report. Hetian Taida provides employment to those trainees who were deemed by the government to be "unproblematic," he said, adding that the centre is government-operated. The segment said that in addition to law and Mandarin-language classes, the training centre collaborated with companies to give trainees practical experience. Trainees were shown hunched over sewing machines in a factory whose interior matches that of Hetian Taida's main Hotan branch, as seen in prior Chinese media reports. At least 10 times this year shipping containers filled with thousands of men's, women's and youth polyester knitted T-shirts and pants were sent to Badger Sportswear, a 47-year-old athletic gear seller. The company mostly manufactures in Nicaragua and the U.S., and there is no way to tell where the products from Xinjiang specifically end up. But experts say supply chains are considered tainted by forced labour and modern slavery if even one item was produced by someone forced to work. Badger Sportswear goes to university bookstores and sports teams large and small around the country, places like Charlotte Country Day School squash team in Charlotte, North Carolina, Rhode Island's Coventry Little League and Hansberry College Prep in Chicago, according to its website and advertisements. Dozens of college bookstores advertise their gear printed on Badger Sportswear, including Texas A&M, University of Pennsylvania, Appalachian State University, University of Northern Iowa, University of Evansville and Bates College. However, it's impossible to say if any particular shirt is made with forced labour. All the teams and schools that responded to the AP condemned forced labour. In recent years, Badger imported sportswear -- jerseys, T-shirts, workout pants and more -- from Nicaragua and Pakistan. But in April this year, it began importing 100 per cent polyester T-shirts and pants from Hetian Taida Apparel, according to U.S. customs data provided by ImportGenius, which analyzes consumer shipments. The address on the shipping records is the same as for the detention camp. The U.S. and United Nations say forced labour is a type of modern slavery, and that items made by people being exploited and coerced to work are banned from import to the U.S. It's unclear whether other companies also export products made by forced labour in Xinjiang to the U.S., Europe and Asia. The AP found two companies exporting to the U.S. that share approximately the same co-ordinates as places experts have identified as internment camps, and Chinese media reports mention "training" there. But the AP could not confirm whether the companies use forced labour. "Not only is the Chinese government detaining over a million Uyghurs and other Muslims, forcing them to revoke their faith and profess loyalty to the Communist Party, they are now profiting from their labour," said Smith. "U.S. consumers should not be buying and U.S. businesses should not be importing goods made in modern-day concentration camps." Not all the camps have forced labour. 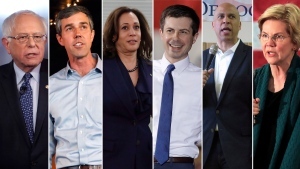 Many former detainees say they were held in facilities that didn't have any manufacturing equipment and focused solely on political indoctrination. This fall, months after Koksebek's release, news began trickling into Kazakhstan that the Chinese government was starting forced labour in internment camps and would transfer some detainees out into gated, guarded factories. The workers must live in dormitories on factory grounds. Contact with family ranges from phone calls or in-person visits, to weekends at home under police surveillance. In October, Chinese authorities acknowledged the existence of what they called vocational training centres. State media published an interview with Shohret Zahir, the governor of Xinjiang, saying that "some trainees" were nearly done with their "courses." The forced labour program goes along with a massive government initiative to develop Xinjiang's economy by constructing enormous factory parks. Another internment camp the AP visited was inside a factory compound called Kunshan Industrial Park, opened under the national anti-poverty push. A local propaganda official, Chen Fang, said workers inside made food and clothes. Many of those with relatives in such camps said their loved ones were well-educated with high-paying jobs before their arrest, and did not need a poverty alleviation program. Nurbakyt Kaliaskar, a sheepherder's wife in Kazakhstan, said her daughter, Rezila Nulale, 25, was a college graduate with a well-paid advertising job in Urumqi, the capital of Xinjiang, where she lived a typical urban lifestyle with a computer, a washing machine and an apartment in the city centre. 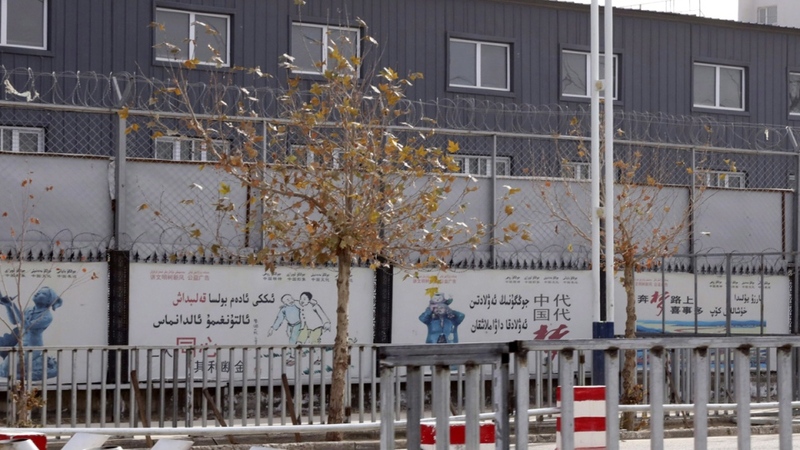 A former detainee, who spoke on the condition of anonymity to protect himself and his family members, said other detainees from his camp also had been forced into jobs at factories far away. They were taken to a government office and handed labour contracts for six months to five years in a distant factory, which they were required to sign. Farmers, herders and manual labourers with little Mandarin and no higher education say they appreciated Beijing's past initiatives to help the poor, including subsidized housing and the installation of electricity and running water. But the camps, the forced education, and the factories, they say, go too far.